Please register here and in order to be eligible for any prizes provided by Cohesity, each attendee will be required to register with them at the site location. 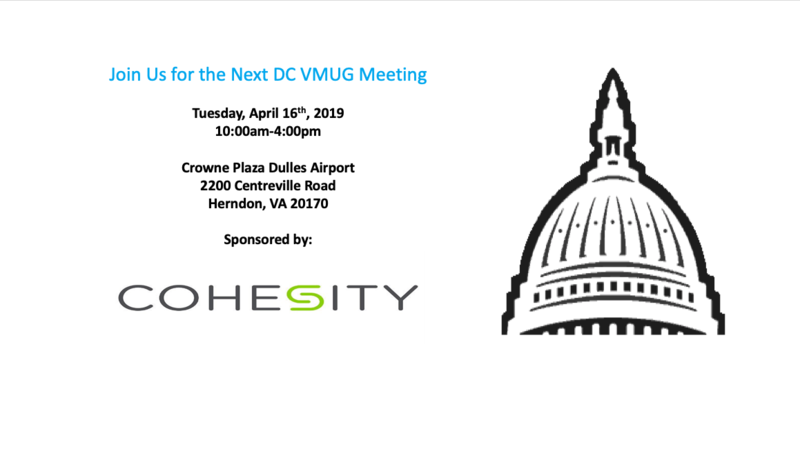 Dennis Sheehan - Director, Systems Engineering at Cohesity "Managing Mass Data Fragmentation with VMware and Cohesity"
Additionally, Cohesity is also sponsoring a Happy Hour\Meet & Geek at the same venue and it begins at 4pm. This Happy Hour requires a separate registration, please check our communities page for more info.